Last 6th of February, my shepherd taught about me the importance and the "fruits" of reading the bible. He mentioned that bible stands for Basic Instruction Before Leaving Earth. This holy book is not just a "thing" that after reading the entire pages then will proceed to the next book. At the first instance of reading it, the messages might be not that clear but after reading it over again, different revelations and meanings will be presented to you. In 2 Timothy 3:16-17, "All scripture is God-breathed and is useful for teaching, rebuking, correcting and training in righteousness, so that the man of God may be thoroughly equipped for every good work". You will get many benefits in reading the bible. As they say, all the answers to your questions are in the bible and yes it is true. It also serves as a guide in our decision making. If the food nourishes our body, His words nourishes our soul. We will also be guided with our characters and thoughts, on how we will interact with others. God has a plenty of promises to us and we can discover it by reading the bible. As we go on reading this book, many messages will make your faith to be increased by His power and love to us. As for myself, when I am reading a bible and found a very good and perfect verse that spoke to me, I use a highlighter to emphasize it. Sometimes I share what I have learned using this blog and I believe that many will be blessed. 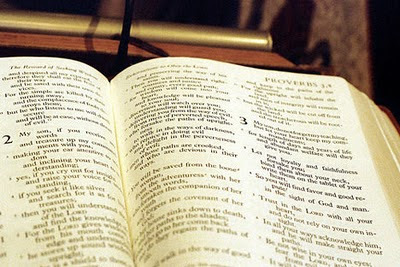 We should keep on reading the bible and for sure you will feel the hunger for His words as many lessons will be learned for sure. With what we have learned, we can give a helping hand to others so that they can also discover the wonder of His words and how it changed our lives. As for myself, a former officemate lend his hand to invite me and convince me to join him for almost one year and a half. I am very thankful to this guy who brought me to this family as I became closer to God. Outreach was our topic during our shepherding last 13th of February. Aris told me the importance of being connected to others and encourage them to let Him lead the path for them. In Matthew 28:18-20, "Then Jesus came to them and said, 'All authority in heaven and on earth has been given to me. therefore go and make disciples of all nations, baptizing them in the name of the Father and of the Son and of the Holy spirit, and teaching them to obey everything I have commanded you. And surely I am with you always, to the very end of the age'". In outreach, there are two ways that my shepherd taught me. First is through evangelism (we call it evax). This is the way of inviting other persons to come and join our fellowship and experience His presence. Honestly, this part is the hardest thing as I am not used to talk to strangers but I am a work in progress. The second is discovery on which we explains how God really loves us by giving His only son to pay for our sins. The first time I ever did a discovery in our fellowship was also a learning experience for me, I was able to understand and feel more His love for me and what blessings await. In outreach, we can use testimony on how our lives were changed so that it can be an inspiration to others. Sharing is also the best way to connect to others, let them tell their stories and find ways how to be related and give them encouragement and some advise. Then in return, share ours and be open to every feelings, comments and suggestions. It is a great feeling seeing others who has a closer relationship to God with your help.